When you call or visit Clear Fork Dental, chances are you will first meet Becca. She has been a dental professional for over 20 years. As our Office Coordinator, Becca oversees that the office and team members deliver the ultimate patient experience. From answering the phones to working behind the scenes with the doctors to implement systems that keep the office performing at its best, Becca is always keeping the patient's needs and expectations in mind. On the weekends she enjoys spending time with family, traveling and attending Christ Chapel Bible Church. 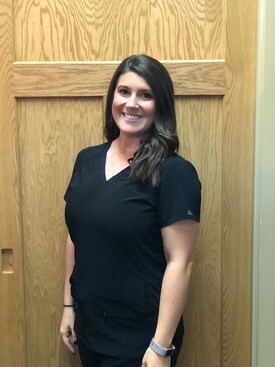 Taylor has been working at Clear Fork Dental since 2015. She manages all of our social media platforms and website. Along with working on marketing strategies and community events. Taylor also assists Becca managing schedules and explaining your financial options. Taylor is passionate about helping others and going above and beyond to make your visit at Clear Fork Dental a positive experience. She is a firm believer in Clear Fork Dental’s holistic approach and is eager to continue her education in dentistry. Taylor has a 4 year old daughter and attends Christ Chapel Bible Church in Fort Worth, TX. In her free time she enjoys spending time family and friends, listening to live music, going to sporting events and being outdoors. Dr. Cole's wife, Pat, sees babies, children and adults with head, neck and myofascial (chronic facial pain / tightness) issues. She has been a massage therapist since 1997, specializing in craniosacral therapy. She is well versed with neuromuscular, trigger point, lymphatic drainage and myofascial release techniques as well. When she isn't seeing patients, she helps make sure things are running seamlessly. Pat's favorite pastime outside the office is spending time with her four precious grandbabies: reading, playing and especially teaching them about nature. She loves traveling with Dr. Cole in the Cole's Airstream and birding, kayaking, hiking and fishing. Pat is a true environmentalist and is passionate about helping others. Teri has been working in Dr. Cole's office since January 1998. 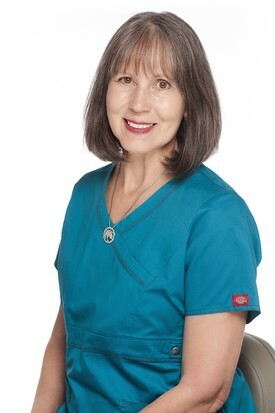 She has been a Registered Dental Hygienist (RDH) since 1978 and is also a Certified TMJ Assistant (CTA). 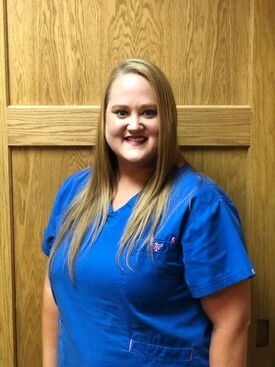 She has a passion to know the patients as well as their teeth, and she remembers not only your dental health but also the names of your pets and children! She is an excellent educator and health advocate for Clear Fork Dental. Once you have been in Teri's chair it will be evident that she is the resident cowgirl. She loves all things country western! Teri has long been in charge of Clear Fork Dental's prize-winning bulletin boards. Ask to see the photo album displaying the incredible boards from past years or photos of the birthday parties she's designed. On weekends she leads the praise and worship team at her church in Cleburne, Three Nails Cowboy Church, and enjoys rodeos. She lives just outside Cleburne, with a menagerie that includes her dog, Shep, one rescue cat, Annie (as in Little Orphan Annie), as well as a mama cat and her five kittens. 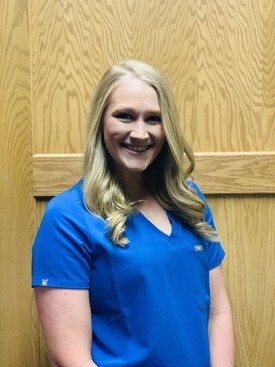 Kelsey began her journey at Clear Fork Dental early in 2016 and she is our part time Registered Dental Hygienist (RDH) as well as a Certified TMJ Assistant(CTA). She sees patients on Mondays, Tuesdays and Thursdays. She graduated from Texas A&M University-Baylor College of Dentistry in 2015. 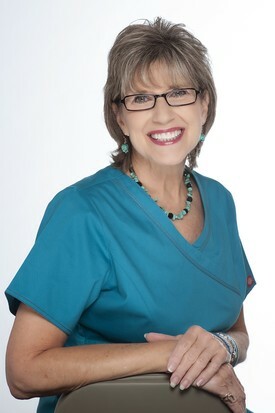 She enjoys educating patients on their oral health and following them throughout their life. 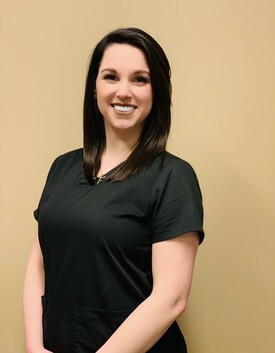 Kelsey is a member of the American Dental Hygiene Association (ADHA) and also has a Bachelor of Science Degree in Nutrition from the University of Tennessee-Knoxville. In her free time she enjoys traveling, crafting, yoga and cooking new recipes. Madelin has been a registered dental assistant for 3 years. She received her education at Texas Academy of Dental Assistant. 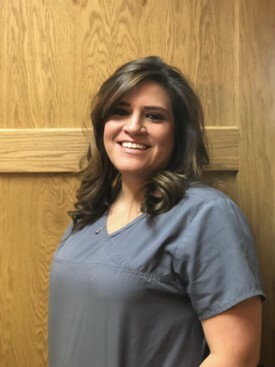 She joined our dental family in 2016 and is an important member of our team. 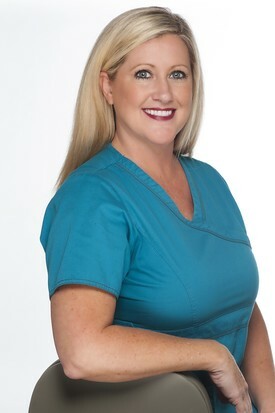 She assists with all dental procedures with both Dr. Cole and Dr. Shelby. Madelin enjoys working with others and meeting new people. She helps both Lindsay and Brittany in presenting treatment plans and presenting patients in our daily morning huddles. In her spare time you can find her working out and spending time with her family. She not only is a registered dental assistant but also a licensed phlebotomist and a certified TMJ assistant. Madelin is married to Steven, together they have a two children. Melissa has been in Dentistry since 2011 and joined our team in 2018. Melissa assists both Dr. Cole and Dr. Shelby in dental procedures and surgeries. She also helps with presenting treatment and going over our daily schedule in our morning huddle. Melissa enjoys getting to meet new people and being able to make them feel better about themselves, one smile at a time. In her spare time she stays busy with her three children ages 10, 9, and 5. They enjoy spending time outdoors and making memories. Courtnie is the newest member of our team. She has been in dentistry for 12 years and truly enjoys what she does. Her favorite part of her job is caring for patients and being able to impact their lives in a positive way and watch their smile transform. She holds certifications in Nitrous Oxide and Coronal Polishing and is currently working on obtaining her TMJ Certification. She enjoys spending time with her two children and their guinea pigs, Bucky and Steve. On the weekends you may find her enjoying the outdoors, going to the movies or reading a book. I am certified in Deep Tissue, Trigger Point, Swedish, Headache and Pre-Natal massage. I am currently working on my certification for Cranial Sacral Therapy as well. I am from south Fort Worth and I have been a Massage Therapist since 2008, and I really love what I do. I enjoy helping people with chronic pain from old injuries or posture imbalances. Helping the body in the healing process of new injuries or just helping reduce stress and anxiety with a relaxing massage. My goal as a massage therapist is to help the body's natural healing process in any way, so that I can help people feel their best. My fiancé Jeff and I have two children, Cole and Anna. In my spare time I like to read, enjoy nature and continue my education in Bodywork.